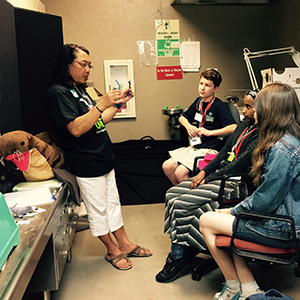 Since its inception in 2003, thousands of middle and high school students have participated in the fun, enriching NOAA Summer Camp experience, where students gain real-world learning while working with scientists on current environmental issues. Registration filled quickly. 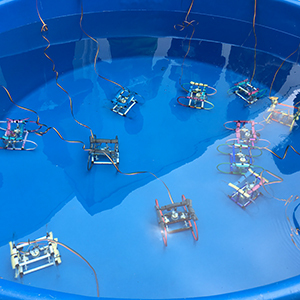 Campers were introduced to a new STEM Design Challenge activity where small groups built Remotely Operated Vehicles (ROVs), designed and tested neutrally buoyant plankton, constructed anemometers and participated in an egg-drop challenge. Campers created oral and written presentations of the results of their investigation of an environmental mystery and presented them to scientists, other campers, camp educators, and parents. 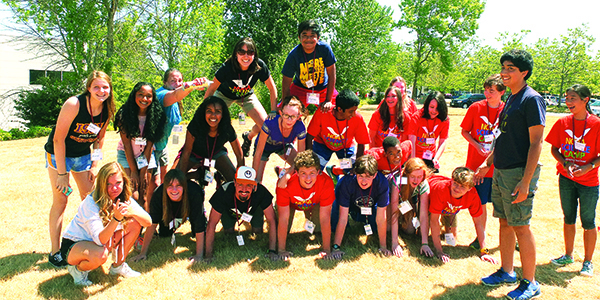 With the generous support of JISAO, 19 students from Showalter Middle School in Tukwila, WA, were awarded full scholarships to attend camp. 7 other scholarships were awarded to individual applicants. A career speed-networking event introduced Junior Leadership Program participants to 17 different local scientists and organizations. The Junior Leaders expanded their scope of scientific investigation when they travelled from Lake Washington to Puget Sound to include a salt-water habitat in their research. They also had an opportunity to explore the Seattle Aquarium, as well as talk to a UW researcher studying the impacts of the Seattle Waterfront seawall replacement. And, of course, the Whip Cream Challenge.